Wood Stone Corporation has been manufacturing stone hearth and specialty commercial cooking equipment for the foodservice industry since 1990. They have more than 13,000 installations in over 75 countries around the world. Wood Stone has built its reputation on their family of stone hearth ovens. Their technologically advanced ceramics and engineering expertise, coupled with their high quality construction techniques and attention to detail, are typical of all of their products and relied upon by their loyal customers. Their product offerings have grown since inception and Wood Stone now also designs, engineers and manufactures a complete line of specialty commercial cooking equipment in addition to their oven offerings. Wood Stone makes traditional stone hearth ovens in four sizes, 7 sq. ft. to 45 sq. ft. These are the perfect artisan pizza ovens for any small or large kitchen. Each oven is available as wood-fired, wood and gas combination ovens, and gas-fired ovens. Wood Stone ovens facilitate high volume, high quality food and bread preparation. 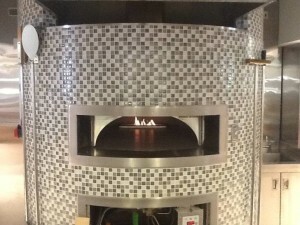 Their customers use this series of oven as their kitchen work horse for making artisan pizza and bread products. To learn more about available fuel configurations for their artisan pizza ovens view their Fuel Configuration Tool or contact your CR Peterson + Associates Sales Rep.